The study could revolutionise how we study diseases, such as cancer, metabolic and heart diseases. Scientists working together across Europe, Australia and Japan have made a ground-breaking discovery that could revolutionise the way in which we study cancer, metabolic, and heart diseases. The international research collaboration was led by Oxford University, alongside peers including Professor Syma Khalid from the School of Chemistry at the University of Southampton. Membranes surround and protect all of our cells, and their organelles, including the mitochondria - the powerhouse of the cell. 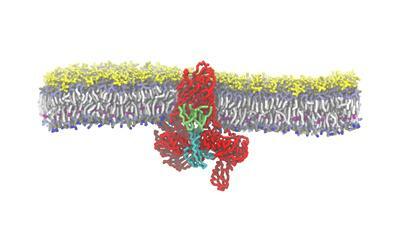 These membranes contain protein complexes that allow molecules to move in and out of cells. Whilst some of those molecules can be converted into energy, others can cause devastating infections. In the past, scientists have had to extract these proteins from their natural membranes in order to analyse them using techniques such as mass spectrometry. This new research, published in Science, has shown that protein complexes can be introduced into the mass spectrometer – an instrument to analyse molecules - straight from the natural membrane. Professor Khalid’s team performed molecular modelling and simulations on the national supercomputer ARCHER to predict the stability of protein complexes and to show specific protein-lipid interactions. Understanding protein complexes, and in particular how they are able to move other molecules across biological membranes is key to developing new therapeutics for a wide range of diseases. To do this we must be able to study the membrane proteins directly from their natural environment. This has never before been possible using methods such as mass spectrometry. In a radical new approach, Dror Chorev, from the University of Oxford, discovered that by vibrating the membranes at ultrasonic frequencies, he could then use high voltages to eject proteins directly into a mass spectrometer. Not only did the membrane protein complexes survive; they also revealed how they communicate with each other, are guided into their correct position within the membrane, and how they transport other molecules. 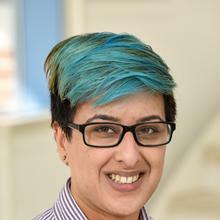 Professor Syma Khalid is Professor of Computational Biophysics within Chemistry at the University of Southampton.